Planting is our business. As Toronto’s leading commercial and residential landscaping and maintenance contractor, Greenbloom is an expert in planting. Trees, flowers and whole gardens are all parts of our job, what we do and who we are. Proper planting makes the difference to the health and flourishing of your garden. We know which trees are best for the Toronto climate and which soil is needed for flowers, shrubs and each tree. Earth is our business! We know what it needs, and we offer her the best so that your trees can grow tall and your flowers will bloom and decorate your yard. 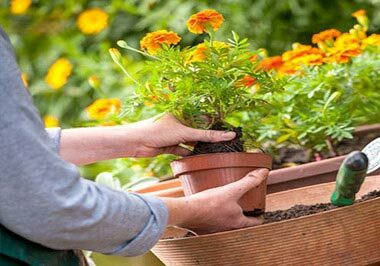 Our planting services are excellent due to our knowledge, experience and know-how. We offer both home and commercial Planting Services. This means that we have the technical power to support big projects, satisfy all needs and handle the requirements of the largest estates. As Ontario’s best company in the field, Greenbloom Maintenance Toronto offers solutions to each client. 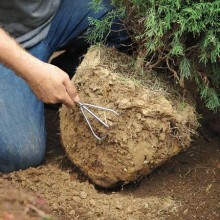 Every garden will need different trees, special treatment before planting, and excelent maintenance afterwards. Our expert professionals examine every corner of each garden before flowers, trees and shrubs are planted. We want to make sure the soil is right, or the tree won’t grow. We are careful and devoted, and that’s why our garden planting service is exceptional. Everyone can trust our company for Planting Services. Our expertise doesn’t leave room for any mistakes. We like to talk to the client before flower planting to see what they like, and we blend their desires with our knowledge. This way, we can suggest solutions that won’t last for only one month. In an effort to make hedge planting service count, we make recommendations that will last for long. With the right selection of plants and trees and our excellent services, your garden will flourish.